Copyright, 1883, by S. Brainard's Sons Co. Words by Cobb Webb. Music by Eastman. On the faces we meet when passing by. 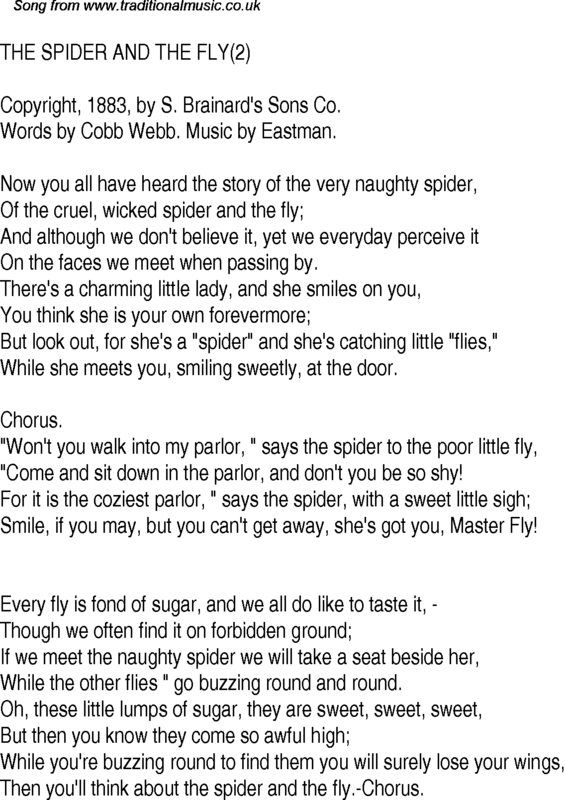 But look out, for she's a "spider" and she's catching little "flies,"
While she meets you, smiling sweetly, at the door. "Come and sit down in the parlor, and don't you be so shy! Smile, if you may, but you can't get away, she's got you, Master Fly! While the other flies " go buzzing round and round. Then you'll think about the spider and the fly.-Chorus.